Metabolic syndrome increasingly common: What is it, and why worry? More than one-third of U.S. adults have a combination of health problems collectively known as metabolic syndrome that increase the risk of heart disease and diabetes, according to new research. What's worse, the researchers found the rate of metabolic syndrome increases dramatically with age. Almost half of people 60 or older in the United States have metabolic syndrome, the study found. "That's concerning, because we know the population of the U.S. is aging," said senior author Dr. Robert Wong, an assistant clinical professor at University of California, San Francisco. "I think it will potentially place a huge burden on our health care system." Metabolic syndrome is a "perfect storm" of conditions that include high blood pressure, abnormal cholesterol levels, increased levels of blood sugar, and a wider waist circumference, Wong said. Medical experts are turning to metabolic syndrome as a key indicator of heart health risk. "Metabolic syndrome is a more comprehensive analysis, because it takes into account a lot of risk factors," Wong said. To assess the nation's rate of metabolic syndrome, Wong and his colleagues used health data on Americans gathered by the U.S. Centers for Disease Control and Prevention between 2003 and 2012. The researchers concluded that 35 percent of all U.S. adults had metabolic syndrome in 2011-2012. That number is up slightly from 33 percent in 2003-2004, the researchers said. Obesity is considered a leading factor in metabolic syndrome, and the overall rate of both conditions mirror each other, Wong said. But the researchers also found that age strongly influences metabolic syndrome. 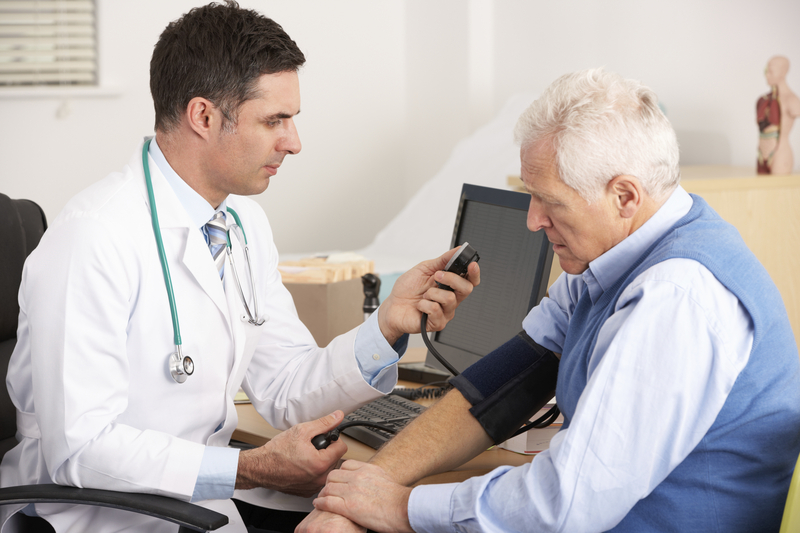 About 47 percent of people 60 or older have metabolic syndrome. Only about 18 percent of adults 20 to 39 years old have the condition. Among those over 60, more than 50 percent of women and Hispanics have metabolic syndrome, according to the study. The study's findings are in the May 19 issue of the Journal of the American Medical Association. Age affects many of the risk factors that combine to create metabolic syndrome, said Dr. Pamela Morris, chair of the American College of Cardiology's Prevention of Cardiovascular Disease Committee. For example, people tend to become less active, heavier and more insulin resistant as they grow older, said Morris, who is also an assistant professor at the Medical University of South Carolina. Dr. Mark Creager, incoming president of the American Heart Association, said, "It's disconcerting that there's such a high prevalence of metabolic syndrome, and it's disconcerting that the prevalence of metabolic syndrome rises so dramatically as we age." Creager and Morris said that steps need to be taken to encourage healthy lifestyle choices among people who either have metabolic syndrome or are in danger of developing it. Creager pointed to larger societal efforts, including less access to sugar-sweetened beverages in schools, better access to healthy foods in urban areas, and the creation of places where people can walk safely and get more exercise. Morris said she is "still struggling to find the magic bullet" that will encourage better choices among her own patients, and has found the most success in encouraging "baby steps." "I try to meet them halfway and work with them over time, and once the early changes we've made have become routine, then I move them a little closer to the healthier side of things," she said. Some baby steps include skipping beverages that contain calories (such as sodas and fruit juices), preparing home-cooked meals, and walking as often as possible. Additionally, any public health efforts need to be sensitive to the Hispanic population, which has the highest rate of metabolic syndrome of all ethnic groups, noted Dr. Suzanne Steinbaum, a preventive cardiologist and director of Women's Heart Health at Lenox Hill Hospital in New York City. The study found that about 39 percent of Hispanics have metabolic syndrome. "Messaging needs to be translated into Spanish if necessary and focused on this population," Steinbaum said.